Mark your calendars, because on the 4th April it is happening…we are launching our crowdfunding campaign on Kickstarter. By now you may have heard that we bought an ice cream truck! Yep, that’s right a 24 foot long ice cream truck. The question is what on earth are we planning to do with this ice cream truck. Well, “when life gives you lemons, make lemonade”…wait, no that’s not right. 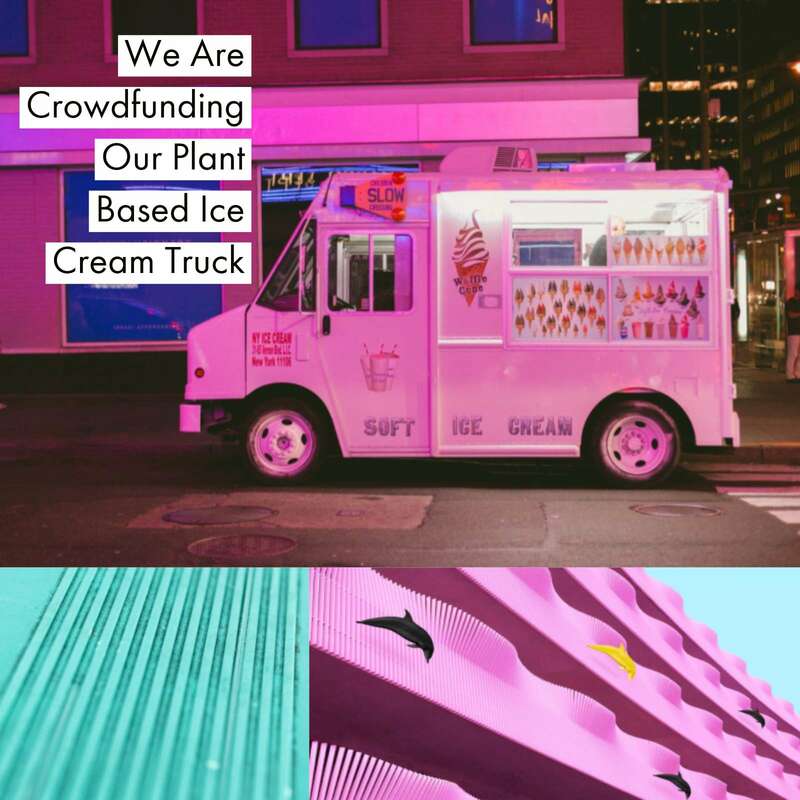 Let ‘s try again – “when life gives you an ice cream truck, make plant based ice cream”… that sounds better and that is what we exactly intend to do. As part of our truck launch we will be starting a crowdfunding campaign on Kickstarter. We are hoping to raise $10,000 to help finish off the works to the truck. We wanted to involve and reward all of our amazing customers for all their support since we launched and crowdfunding seemed like a great way of doing this. By supporting us you will be able to get amazing rewards from gift cards, limited edition t-shirts, private parties and even having the truck named after you. Yes, your name can live on forever. Set your alarms, mark your calendars (obviously, your phone calendar because no one owns a paper calendar anymore, right?) and leave a note on your fridge door because our Kickstarter campaign will be launching the 4th April to 4th May. In the interim, above is a first draft of our truck design. Let us know what you think.